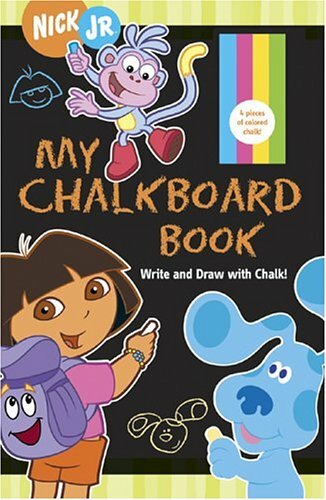 Chronicle Books; Nickelodeon My Chalkboard Book: Write and Draw with Chalk! From drawing and coloring to practicing their ABCs and 123s, kids will love this hands-on book featuring real chalkboard pages and 4 pieces of brightly colored chalk. It's "write-on/wipe-off" play they'll return to again and again!